The annual Autism Speaks Walk in partnership with SARRC is back again on October 27, 2019! Register your team of family, friends, and loved ones and help support and raise awareness for autism! Since 2005, Autism Speaks and SARRC have partnered to raise funds for autism research and programs underway in Arizona. Over the past 14 years, more than $9 million dollars has been raised through the Arizona Autism Speaks Walk in partnership with SARRC to improve the quality of life for individuals with Autism and their families. 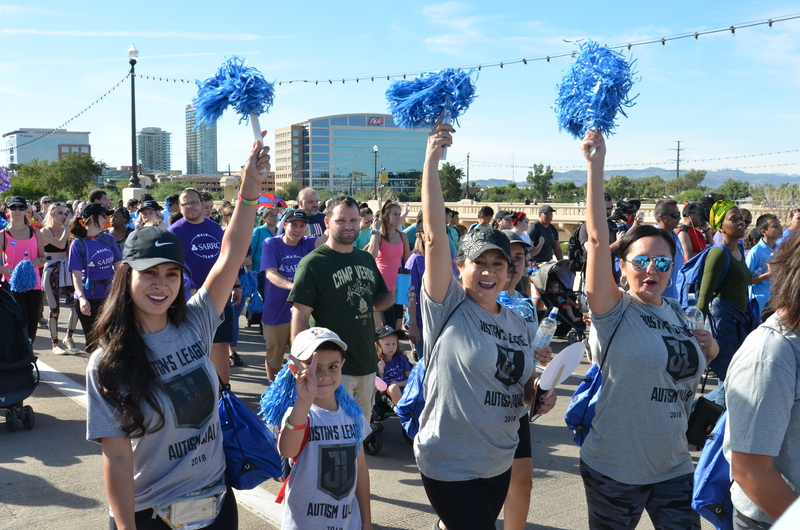 The Arizona walk event — one of more than 60 that happen around the nation — attracts one of the largest crowds and accounts for one of Autism Speaks’ most popular events. Half of all proceeds raised, fund direct services and resources through SARRC while the other half aids Autism Speaks mission to enhance lives today while accelerating a spectrum of solutions for tomorrow. Register and Start Your Team Today! Register your team of family, friends, and loved ones and help support and raise awareness for autism! Register on the Autism Speaks' website and form your fundraising team! For any questions, contact our team at: Randi O'Connor, 602.606.9896. Parking Map Opens a New Window. Walk Route Map Opens a New Window.